While Hybrid IT refers to the fusing of public cloud, private cloud, and on-premises infrastructure, Bimodal IT is about simultaneous management of IT at the above dual speeds. 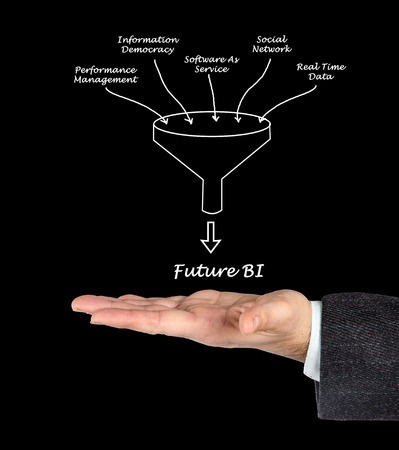 Bi-modal allows for the transition to take place at a pace that makes sense for your company. With bi-modal IT transitions to the hybrid cloud, Zephyr Networks tailors a specific step package of services to ensure success. While the traditional mode emphasizes scalability, safety and accuracy, the newer mode emphasizes agility and speed. With the bi-modal approach, Zephyr Networks can plan a hybrid cloud migration path that works for your company. With the bi-modal IT approach, both traditional IT systems and the newer cloud-based services can be managed together. Bimodal IT helps to make the development of horizontal applications data management possible by engendering common transactions across multiple systems. In other words, you get the best of both worlds at the beginning while your company is preparing to the eventual full transition to the newer technological capabilities. How can we keep the best of what a company has, extending its value into the new era of modern technologies? How can we translate a company’s legacy data and applications into the modern systems of the digital economy? How can we avoid business interruptions and make sure the transition works efficiently for employer and employees? Success with bimodal IT has a lot to do with taking the right approach. Lydia Leong of Gartner points out that organizations with bimodal IT are most successful when they do not have a universal set of processes, tools, and skills. Rather than focusing on a totality, Zephyr Networks helps your company foster a flexible system that allows for a smooth transition to hybrid cloud capabilities. Totalities are foolish because your company needs to assume that any technology systems and interfaces that will be built will need to be replaced within a foreseeable time frame. There is no such thing as a permanent application or operating system in this day and age. Everything thing, from a technology standpoint, is subject to change. Although adopting a bimodal architecture has its challenges, Zephyr Networks has the experience and technological expertise that your company needs to make this transition. After all, if you want to keep pace in your industry, you need to make the transition to the hybrid cloud as quickly as possible. To learn more, please contact Zephyr Networks by calling (800) 884-7559 today.